In my kitchen cupboard sits a bowl that’s stands out from the crowd. 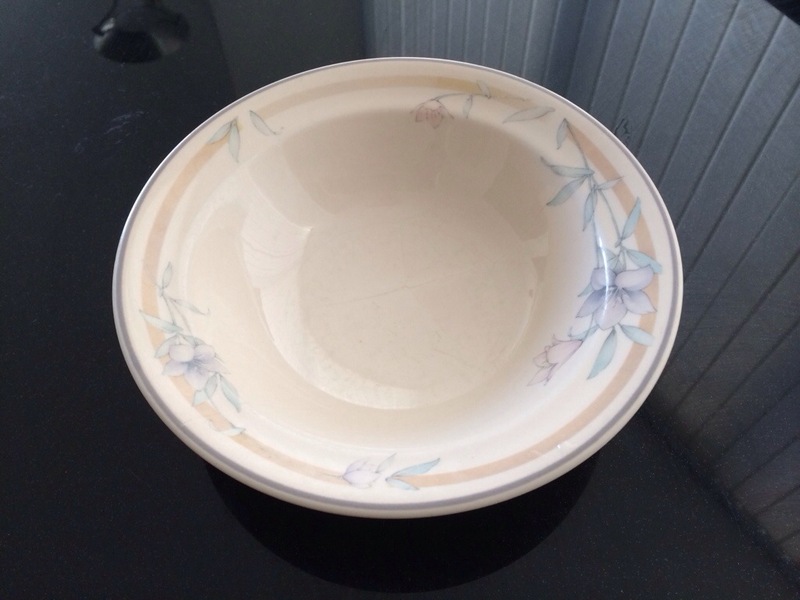 My crockery tastes tend to run to bachelor minimalism, but this one has a faded floral border. It also has a couple of hairline cracks, one of which covers more than half its width. It may not be long for this world, but it’s the venue for my breakfast cereal every morning. This bowl, along with one other plate in that cupboard, is the sole survivor from the package of crockery and cutlery that I was given when I moved down to Dublin from County Down, just over 19 years ago. At the time, I had just turned 19 myself. So, as of late September/early October this year, I’ve officially lived in Dublin as long as I did in Northern Ireland. It’s not quite that neat, of course: my first year in Trinity College Dublin was very disrupted, and I spent most of it, especially the latter half, up north. Still, insofar as I can identify a tipping point, this is it. When I came down to Dublin to go to college, I was a kid. Now that I’m still in Dublin, having just finished a Masters course, I can’t really claim the same measure of youthfulness. I will forever be from Northern Ireland. When I first moved to Dublin, I had to face the question of whether I was Irish or British. I definitely didn’t feel like the latter—growing up in a nationalist, Catholic family saw to that. But I didn’t feel like being Irish suited me either. The experience of growing up in the North during the Troubles was a thing all of its own. So I eventually settled on insisting on my Northern Irish identity. Though being Northern Irish hasn’t changed, it no longer seems to cover everything. This is not necessarily a bad thing. One way of reading it is that there’s more to me than was when I first arrived here in Dublin. I recently added an Irish passport to my British one, so maybe what’s grown about me is the Irish part. It’s a funny thing, to realise that you’ve built a life in a particular place. Friends, work, education, habitation. An interest in local culture and politics, a landscape littered with memories and associations. The same thing is true up North, of course, but up there it’s a case of experience accumulated in the accidental form of childhood. Down here in Dublin, it feels a little more deliberate. Or perhaps necessary is the right word. Perhaps the nature of it then is that we all live multiple lives, often overlapping one another. Childhood, teenage years, college, first job, first house. Sometimes, as in my move to Dublin, you get a clear break that allows you to divide what came before from what came after. Not that live is usually that clean. It is, and always ought to be, a work in progress. With my Masters over and a job hunt underway, it’s hard to avoid the feeling that another life has started, adding another layer to the person that I am. I have no idea where this current path will eventually take me. It might just be that 19 years down the line, I’ll get to write something entitled “The Trilocated Man”. Wouldn’t that be interesting?